2018 will mark the 27th year of the Women’s One Design Challenge. The event is a two-day racing event that was first conceived and organized by the Long Beach Women’s Sailing Association as an opportunity for women to compete on the Long Beach Sailing Foundation’s fleet of Catalina 37s. It’s mission is to raise scholarship funds as well as awareness for women’s achievements on the water. The Regatta was renamed in 2003 as a memorial to one of LB WSA’s members who lost her life to ovarian cancer. 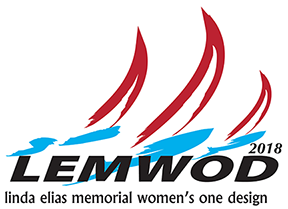 The LEMWOD Regatta is considered the premier all women yacht race on the west coast. Participating teams come from San Diego, Newport Beach, Long Beach, Santa Monica and the Channel Islands. The event is supported and held at the Long Beach Yacht Club. The regatta raises money for the Linda Elias Sailing Scholarship Fund organized to support the aspirations of men and women with a passion for sailing.